If you are new to yoga, there are many different options to choose from. With any style of yoga, there are different benefits, but generally speaking, yoga will help you to improve your sense of balance, flexibility and strength, and have psychological benefits including quieting your mind, helping you to relax and releasing tension from your body. ​It is important to speak to a qualified yoga instructor to determine what type of yoga is most appropriate for you. You will want to choose a yoga style that matches your abilities and your goals for practicing yoga. Hatha yoga is one type of yoga that is typically recommended for beginner yoga students. It is a type of yoga where you learn the traditional asanas (poses). Choosing the right type of yoga for you is important to consider if you are a person who has been injured or who experiences chronic pain, who might want to consider yoga therapy or restorative yoga. 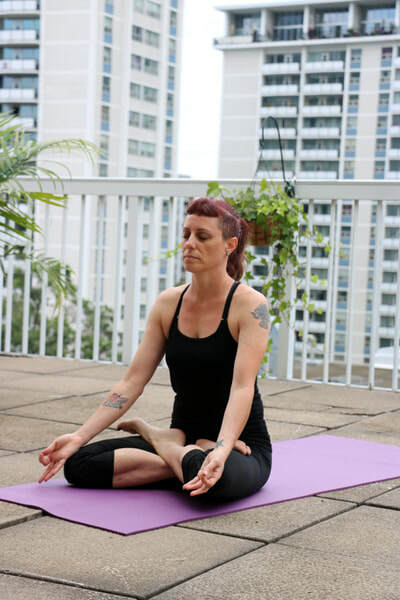 Melanie Schorr has international experience as a yoga student and teacher and offers private, one-on-one lessons in the comfort of your home. She will be able to recommend the right type of yoga for you and help you begin your yoga practice with the appropriate program. Having the right yoga instructor will help you to avoid injuries or from exacerbating old injuries. Get started with some more basic poses. Take a look at the pose library.